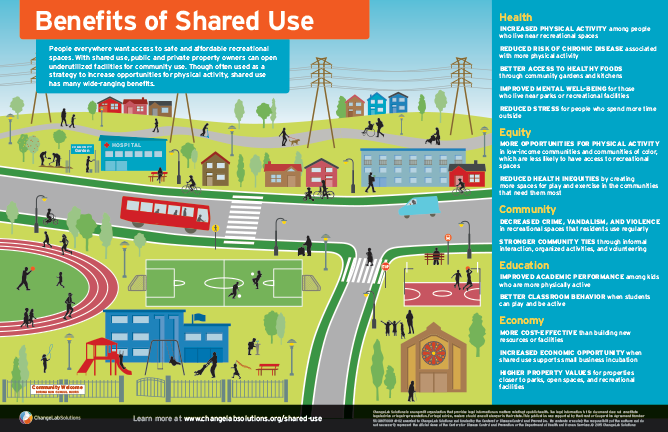 Learn more about the wide-ranging benefits of shared use by downloading our infographic and fact sheet on advancing health equity, which are linked below. 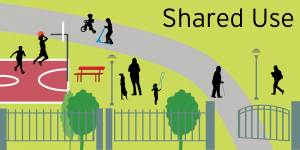 This fact sheet provides an introduction to shared use as a strategy for reducing inequities in recreational access. It also highlights considerations that may be of particular concern to low-income communities and communities of color as they assess different shared use arrangements.